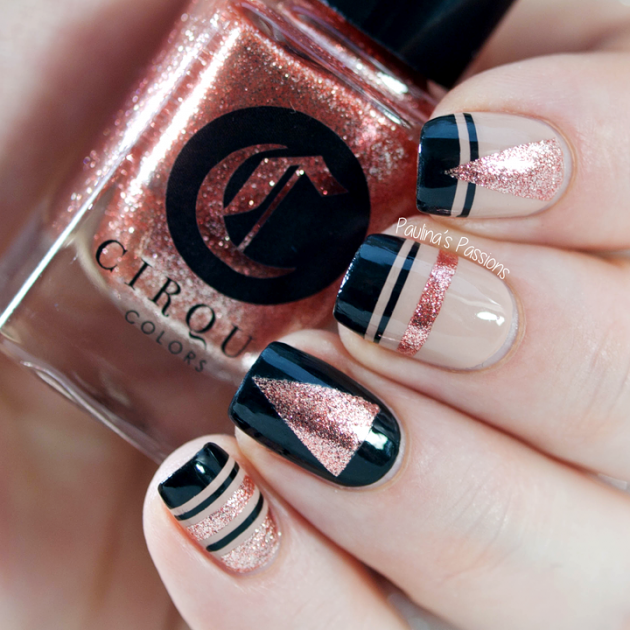 There are so many different nail designs, depending on the colors and patterns used, and that is why we are constantly updating versatile nail designs that you can draw inspiration from. 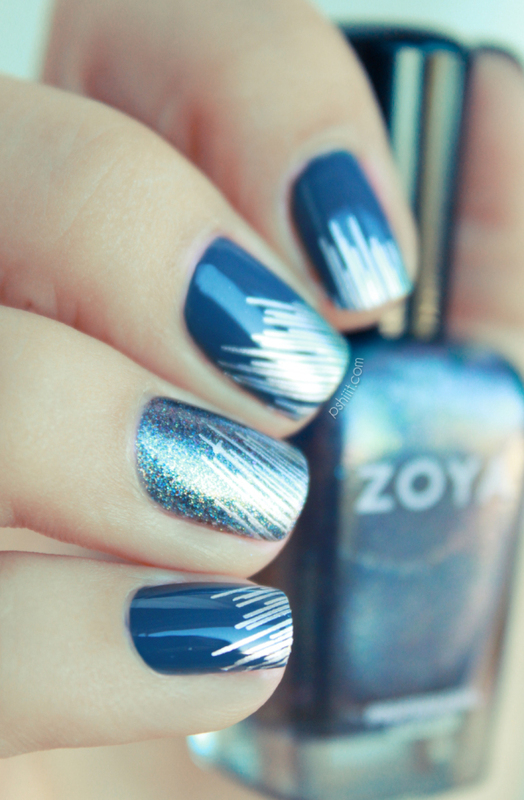 Today, we are bringing to you several Beautiful Metallic Nail Designs that you can try to copy. 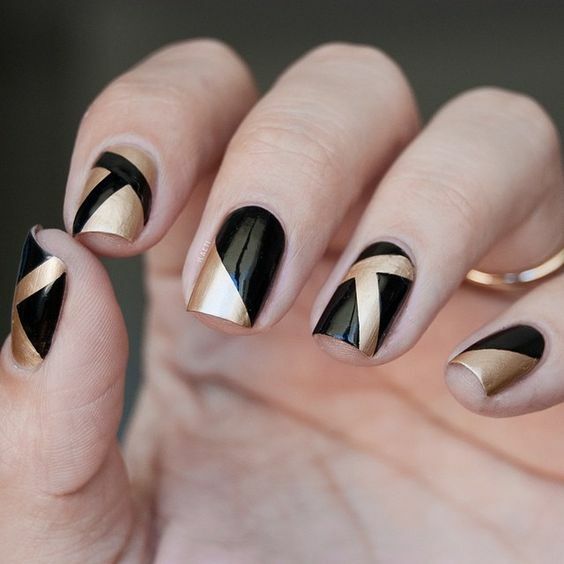 Metallic shades, such as gold, silver, bronze and copper, will be quite popular this year, so you should definitely choose to do your nails with these eye-catching colors. You may choose to polish your nails with some of these colors, or you can combine them with some other color which is definitely a better option. 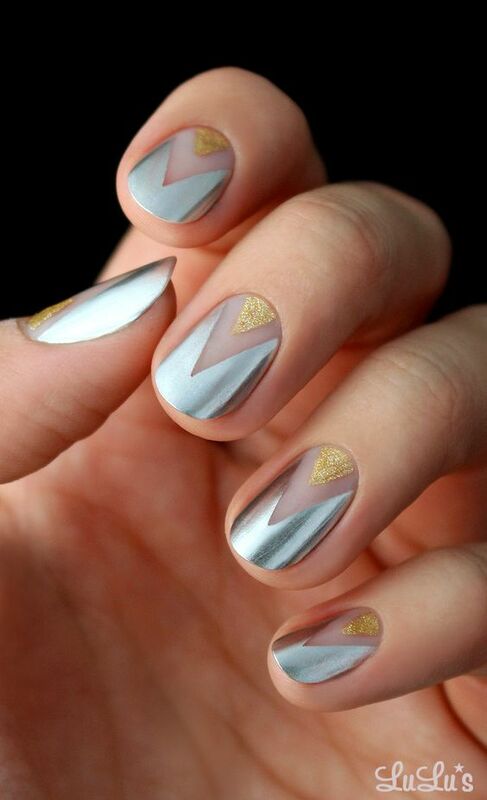 Metallic shades can look good in combo with any other shade so there are many possible nail designs to choose from. Go for some interesting pattern, like stripes, polka dots, geometric etc. Also, you may choose to add some embellishments, such as studs. 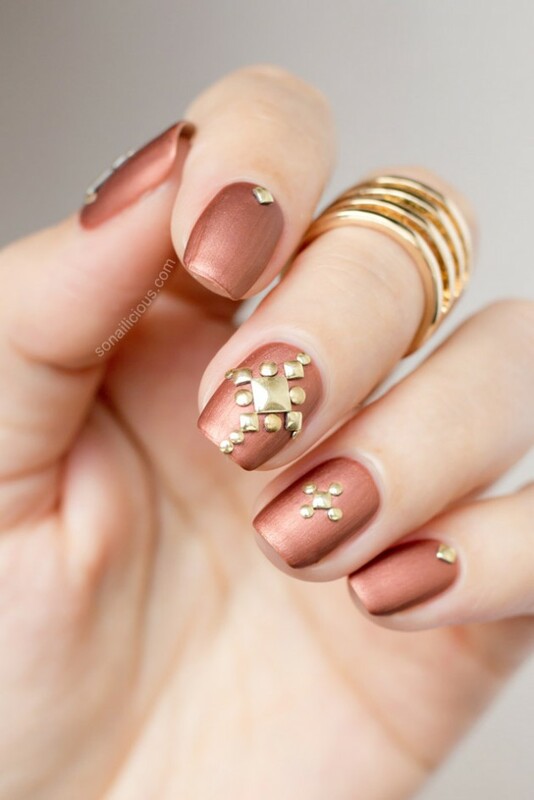 Scroll down now to see the metallic nail designs that we have chosen for you today and choose which one you will try to copy. Enjoy! 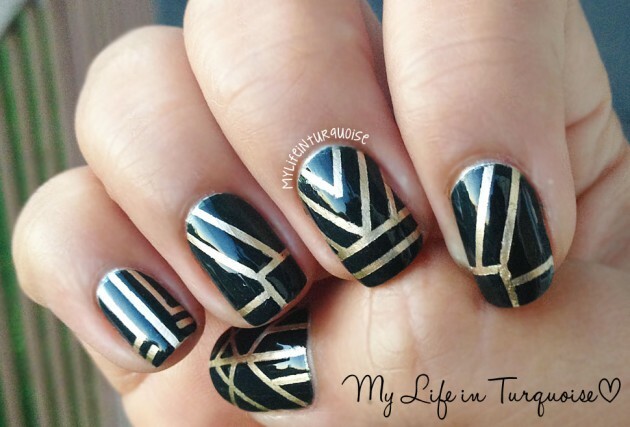 These nail designs are just some of the many possible ways of how to combine metallic shades with any other shade. 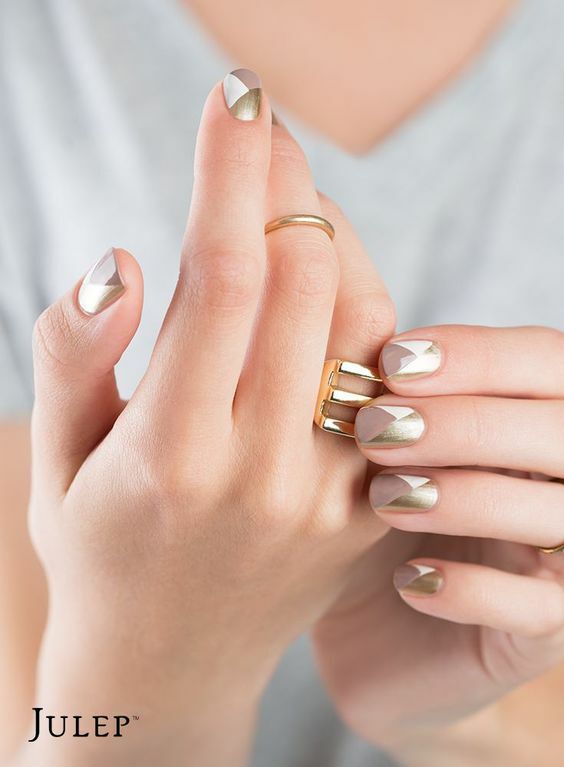 You should definitely try to copy at least one of them, because metallic nail designs are just one of the nail trends that you should try to follow this year. 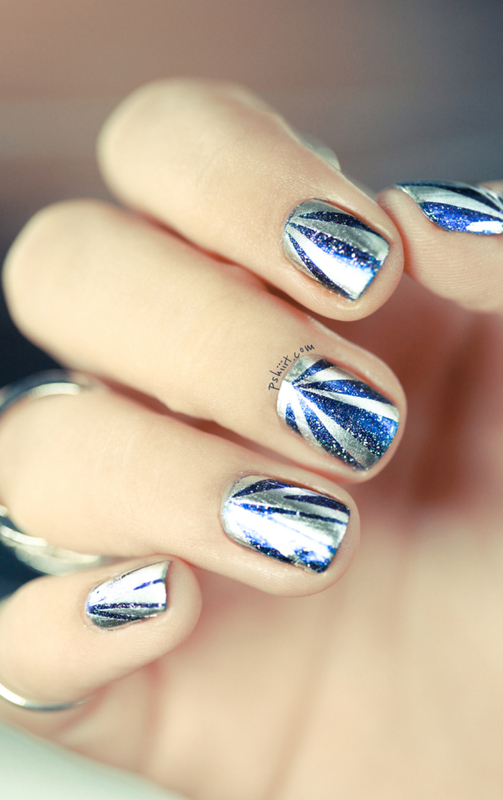 These were the metallic nail designs that we have chosen for you today and we hope that you liked them. 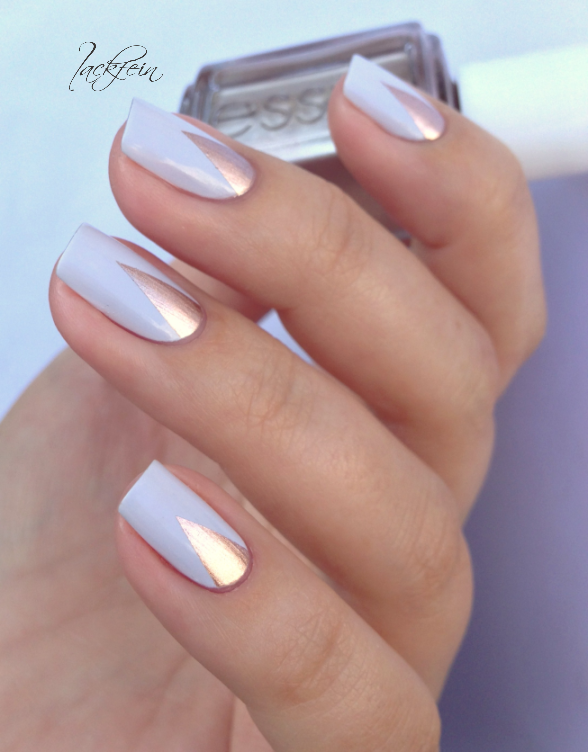 Metallic shades will be quite popular this year, so you should definitely choose some such nail design. 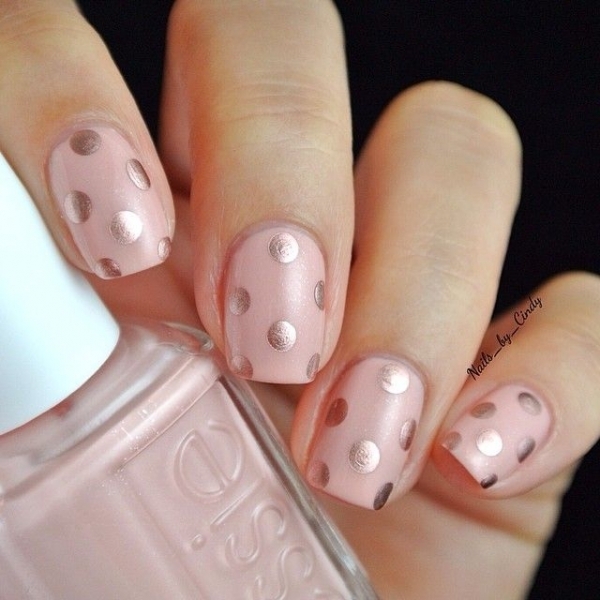 Tell us in the comments which one from the above nail designs you liked the best. And of course, don’t forget to stay up to date with the content of Fashionsy to find many other nail designs you can draw inspiration from.